2019 is a great year to be thinking about solar. Many Byers Family clients ask us about solar and how this translates into savings. When you install a solar energy system, your utility company balances the amount of power you generate with the amount you use. This is called Net Energy Metering (NEM). As a solar energy utility customer, each month, a statement is sent to you which shows your energy use and generation. PG&E provides this monthly statement, showing your energy use and energy production in detail. There is a $10 or so service charge for these monthly statements, which also include other utility charges, such as gas. At the end of twelve months, PG&E will send you a ‘True-Up’ bill. This bill will show what is due PG&E or what PG&E may owe you, to reconcile the difference between your energy generated and the energy used on an annual basis. 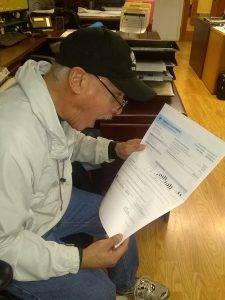 Many Byers Solar clients work to get rid of their PG&E bill completely. That means that a solar system generates enough credits to offset all of a household’s electricity usage. A full offset system results in nothing being due at the time of the True-Up statement. At a time of anticipated rate increases, this is a pretty exciting concept — your energy bill could be radically lowered or even disappear! The True-Up statement provides a reconciliation of all the cumulative energy charges, credits, and compensation for the entire 12-month billing cycle. As a solar consumer, during a 12 month period, you will not be billed until the end of the 12-month cycle for the difference between your energy use and your energy production. You will receive monthly statements, with roughly a $10 service fee and any other non-electric charges. This fee allows for being tied to the grid and providing a metering service. Note: The monthly statement service fees are deducted from your annual True-Up statement. If you have a balance due after all charges and credits are reconciled, that amount will appear on the last PG&E bill of your 12-month billing cycle. Your NEM cycle and any remaining credits will be reset to zero before the beginning of your new 12-month billing cycle. -Read each statement and understand your energy use and production. -Set energy goals and determine if you wish to achieve ‘net zero’—balance energy production with use—or what annual energy expense your anticipate. -Know your True Up statement due date. Please feel free to contact Byers to discuss solar for your home or business. We offer on-site consultation and evaluations—no hassle. Call us at 530-272-8272 to set an appointment with a Byers Solar consultant. Will PG&E Pay Me for Extra Energy Generated? In the event that your system produced more energy than your home used over the 12-month billing cycle, at the time of your True-Up statement from PG&E, you may be entitled to compensation for surplus energy. Note: Because energy compensation is provided at very low wholesale rates, we never design solar systems to exceed 100% of usage. It just doesn’t make economic sense. Get the very best technology for less. Solar technology has advanced and the cost of panels has stabilized. SunPower’s highly productive panels require fewer panels, too—both these factors reduce installation costs. 2019 is the last year for a full 30% Federal Income Tax Credit for your commercial or residential solar energy system. The sooner you go solar, the sooner you start saving on energy! Utility rates continue to climb. Get the best possible rate for your solar energy generation and maximize savings. Call Byers Solar today at 530-272-8272 and get started saving on your 2019 utility bills.